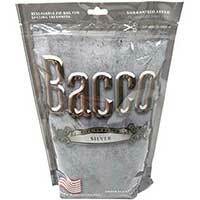 Easy to use and affordable is why many choose to go with Bacco Pipe Tobacco for their smokes! The smooth finish each of their flavors provides is another reason why this tobacco brand is so popular among many. 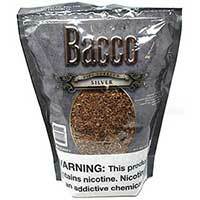 Bacco Pipe Tobacco is amazing for making your own custom blend or for conventional pipe smoking. The tobacco blend is made using American-made recipes from one of the nation’s most famous Meccas of tobacco – Kentucky! 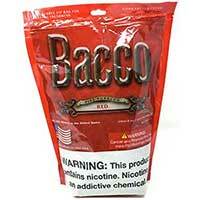 Bacco Pipe Tobacco is made by Tantus Tobacco, which is a well-known layer in the tobacco industry. 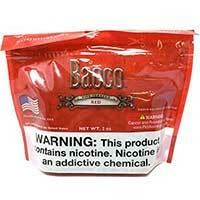 Very palatable and enticing, Bacco Pipe Tobacco provides a smooth smoke no matter what flavor you choose. It also comes in two different size pouch options, with both being very affordable. The Natural Original flavor is hard to match! The fresh pipe tobacco is packed carefully into zipper pouches in order to maintain the perfect moisture level! 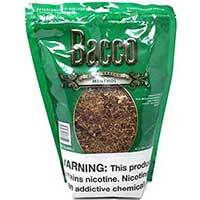 Bacco Menthol Pipe Tobacco is filled with pleasing minty flavors and ingredients that are simply hard to get anywhere else. Bacco Smooth Pipe Tobacco is blended just right and filled with mild flavors that results in a satisfying smoke from start to finish. 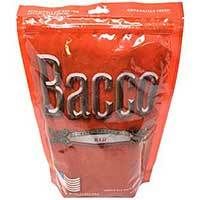 You’ll never want to reach for anything else once you try Bacco Pipe Tobacco!